Reiki is a natural healing system designed to assist in healing and help achieve balance. Reiki is administered by a practitioner, who serves as a conduit through whom the Universal Life Energy can be transmitted to the recipient, by either hands-on or distance healing techniques. Practitioners may also practice Reiki self-treatments. How does Reiki energy flow? Reiki flows through our palms at different rates of speed, depending on various factors such as the extent of the recipient’s illness, degree of blockage, his or her readiness to accept change, and so on. No, Reiki is not a religion, nor is it based on the acceptance of any religious doctrine. Having a belief system is not a requirement for Reiki to work. Reiki does not infringe on anyone’s right to believe what he or she wishes. However, Reiki’s principles are spiritual in nature and do encourage spiritual empowerment and growth. 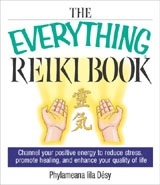 Can Reiki be learned from a book? Becoming a Reiki practitioner is not something you can do on your own through reading a how-to book or watching an instructional video. Receiving Reiki attunements and training can be achieved in a one-day or two-day workshop. Access to Reiki is easy. All you have to do is seek out a Reiki Master in your area who is willing to work with you. Reiki is for everyone, but not everyone is for Reiki. Some people are simply not as open to Reiki as others. Reiki’s gift of increased energy and vitality can be extended to anyone. It doesn’t matter what a person’s gender, race, intelligence, or financial status is. Reiki is not a healing energy reserved only for the elite, wealthy, educated, or spiritually evolved. Common Reiki sensations are heat or coolness, “pins and needles” tingling, vibrational buzzing, electrical sparks, numbness, throbbing, itchiness, and drowsiness. A Reiki attunement is a ritual performed by a Reiki Master. The ritual involves energetic placement of Reiki symbols through a specific set of sequenced actions into the student’s crown and palms. What types of changes can I expect following my Reiki attunement? Changes will vary from person to person, so it’s impossible to predict how any one individual will react to being attuned. Changes begin to take place as soon as Reiki is introduced into the body and begins its balancing process. Reiki works to bring about only positive changes, but these changes may offer challenges while the transformation is occurring. Will I know when Reiki is working? Some people know when Reiki is working because they will notice shifts of energies occurring. However, some people don’t feel anything when giving or receiving Reiki. Just because you don’t feel anything, don’t assume nothing is happening. Trust that Reiki is working. What if my hands don’t feel hot? Experiencing hot hands is a common experience reported by Reiki practitioners. However, each person’s experience with Reiki is unique. You may not experience hot hands, so don’t look for it as verification that Reiki is flowing through them. [H3]I feel balls of energy collecting in my hands. What is that all about? When excess Reiki energies build up in your palms, it may be an indication that a Reiki self-treatment is needed. Take advantage of this excess of energy in your hands and place your hands on your body. Allowing the Reiki to flow into your body should help reduce or release the ball of energy from your palms. Will Reiki ever run out? When you are giving a Reiki treatment to someone, you are giving of your time and your intent to assist, but you are not giving away any of your own energy. Reiki is in infinite supply. It never runs out. Does nutrition play a role in Reiki? Definitely! Having optimal health is essential for practicing Reiki, and eating nutritional meals regularly is essential for optimal health. Eating five or six small-portion meals each day is recommended over eating just two or three large meals. What is the purpose of the Reiki hand placements? Emphasis is placed on devoting five minutes on each hand placement so that no part of the body is neglected and to ensure that each body part is given equal consideration. After practicing these twelve hand placements in the traditional sequences for a period of time, you will likely deviate from them to some degree and begin to acquire your own methodology in placing your hands on your body while listening to your inner dialogue. How often should I conduct self-treatments? Newly attuned Reiki Level I practitioners will benefit from doing full-body sessions daily for the first four to six weeks. After those first weeks, following a regimen of one or two full-body self-treatments each week is prudent. Are there any limitations to Reiki? The only limitations that can block Reiki are those we create, consciously or subconsciously, through a lack of trust or belief in the potential of Reiki treatments to improve our balance or conditions of health. Do I need to direct the flow of Reiki? Reiki will automatically go to wherever it needs to go with no mental involvement of either the practitioner or the recipient. However, when mental intention is used, a linear pathway is opened. This cleared route allows Reiki to flow more effectively to that part of the body where attention is most desired. Now that I’m a Reiki practitioner, am I obligated to treat others? You are under no obligation to treat others every time it is requested of you. You have the right to refuse treatment to anyone, without justifying your feelings. Anytime you feel strongly that you do not want to give a Reiki treatment to someone, accept those feelings without hesitation and politely refuse. What purpose do Reiki symbols serve? Independently, each Reiki symbol has its own unique purposes. The combined function of these symbols is to provide Reiki practitioners with focal points for their healing intentions. A Reiki share is a time when Reiki practitioners gather together to socialize and to participate in group healing treatments. The main purpose of the share is to give and receive Reiki in a casual atmosphere of friendship, honor, and devotion. Why did I start crying during my Reiki treatment? Occasionally a person will experience an intense emotional release during or after a Reiki treatment. These types of emotional release may be expressed through crying, screaming, coughing, vomiting, or other reactions. Emotional releases help carry the person through the hurts and discomforts associated with the feelings that arise during a Reiki session. Why is it important to sweep the recipient’s auric field after a Reiki treatment? Sweeping or combing through the recipient’s auric field clears it of any energetic debris that has lifted from the physical body during the treatment. It is also recommended that you clear your healing space between Reiki treatments so that you don’t have any negative or stagnant energies lingering in any part of the room. Is it safe to treat children with Reiki? Reiki’s gentle and noninvasive nature is perfect for treating the ills and upsets of young children. Children are extremely receptive to Reiki’s positive effects and will normally welcome it without any apprehension. How important is it to attain the Master Level of training? Being certified in the highest level does not necessarily reflect superior knowledge. It is through the continued practice of Reiki that one becomes proficient. The Level I practitioner who uses Reiki daily will be more aware of how Reiki works than a Level III or Master Level Reiki practitioner who seldom conducts treatments. Brahma Satya Reiki is a self-evolved name for an applied spirituality pathway. The system relates to deep study and practice of principles of universal brotherhood and love. This spreads wellness, knowledge, truth, trust and righteous growth through the active use of naturally flowing universal core energy. This universal core energy is referred as Shiva-Shakti. It is this very balanced core energy that forms the basis of attaining the self-realized goal of complete wellness relating to body, mind and spirit. System Brahma is engaged in providing quality spiritual trainings, services and products. These trainings, services and products are imparted or made available to interested people through internet and direct visit of certified trainers and founder himself. System Brahma Satya emphasizes upon the practical usage of its spiritual concepts upon the areas of varying real needs relating to physical health (chronic, acute, incurable, infectious, emergency or even beauty enhancement), emotional & mental balance and wellness (anger, impatience, anxiety, fear, worry, depression, aggression, prosperity, greed, memory, concentration, peace, happiness, relationships, work, career, business, restlessness, relaxation or even education) and spiritual growth (astrological influences, aura management, chakra refinement, being alignment, ancestral blessing, karmic dissolution, ascension and self-realization). To have an individual realization awakened towards knowing the existing unity in within all creation; and thus make a truly worthwhile contribution in creating a confident dynamism in every individual that continues to spread the light of compassionate love and truth righteously creating and establishing firmly strong structures of universal complete wellness for one and all. Vision: It is so happening, every single moment! Come and Join Us! In this movement of Light and Love! Help Us Spread System Brahma Satya! Other than putting money into your pocket, and supplying placebo effects, reiki does nothing. blog. I too am an aspiring blog blogger but I’m still new to everything. Do you have any recommendations for beginner blog writers? I’d genuinely appreciate it. Very useful site and info! I am newly attuned to Reiki and started practicing 🙂 Thanks for sharing all the tips! You have ԁone a fortmidable ϳob and our entire communify will bе thankful to you. Its really nice Thanks for sharing this post with us…Reiki. Its really nice and informative thanks fore sharing this post with us…good luck…reiki healing. This is a good post for …what is reiki. Why are some people taught symbols and some aren’t. A friend was attuned one was and I was attuned recently with a ”master” who said they went to America to learn the teachings of Dr Usui Ryhoho way and this was the original teachings that he first taught. As they had translated his manuscripts. The master said that the symbols are the made up way as It was later on when the Hawayo Takata Sensei taught her way to the western world and along with that taught symbols to include ie in the beginning over the patient and in their palms and also to ground themselves and the patient? What are everyone’s views on this?? wish for enjoyment, since this this web page conations actually pleasant funny material too.